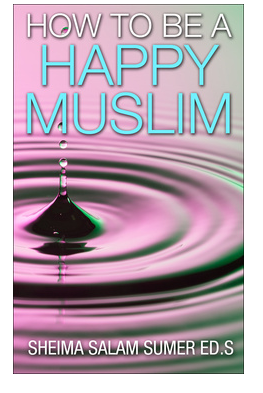 Inspiring Book Review and Eid Mubarak! First, a belated Eid Al Adha Mubarak to all of my Muslim sisters and brothers! I hope you had an uplifting Eid filled with the love of Allah and family! 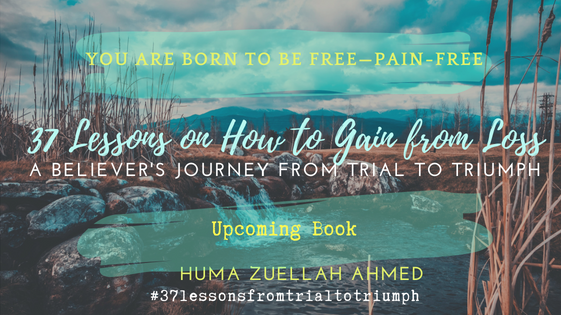 “37 Lessons” is a hopeful book on dealing with any kind of loss. Huma lost her mother to cancer in 2015 and turned her loss into a masterpiece. This book is enjoyable to read and gives you practical advice for inner peace. It contains beautiful Quranic reminders. It is poetic and personal. 1. The basic goal of loss is personal enhancement, like an upgrade. 3. There is nothing more precious than your own well-being. 4. How you label things is what causes you pain. For example, when I choose to stop viewing traffic as a problem, traffic exists but the problem no longer exists. Just view the external world situation as simply a fact. 5. Nothing has the power to hold you in the state of pain except your own self. 6. The beauty of being human lies in the potential for self-correction. 8. Forgiving yourself is the stepping stone to correction. It made me appreciate my loved ones more. It is a great gift for anyone of any faith. Interested to get a glimpse? You can enjoy a quick preread of the Book Synopsis, first 3 chapters, Table of Contents and More to get the feel of the content at the Website or at the Facebook page or share it with someone who currently needs to hear this message.